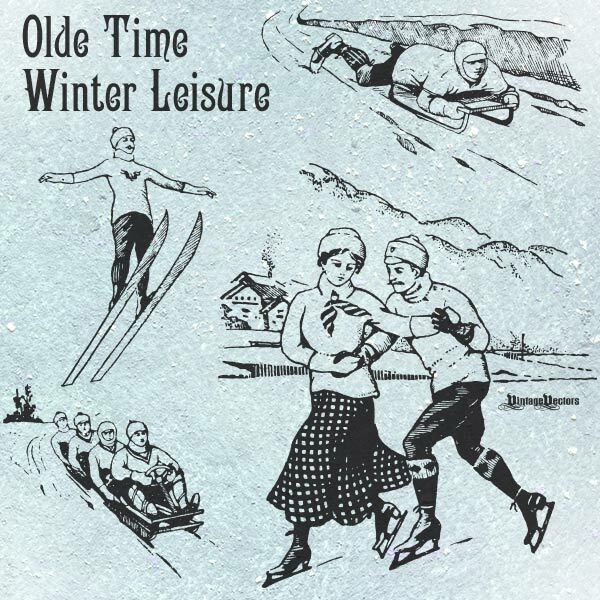 A winter sport leisure package of vintage goodness includes couple ice skating, a ski jumper, sledder and toboggan. Ooh! I wish it were winter! LOL It’s been so hot! This is nice! It’s like 4 images in 1! Thank you so much!